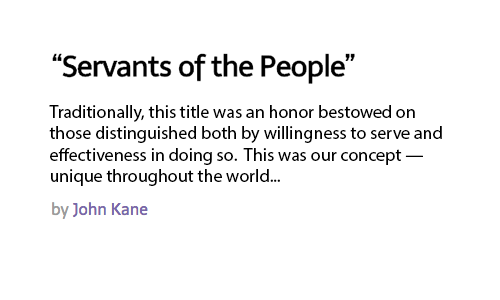 Traditionally, this title was an honor bestowed on those distinguished both by willingness to serve and effectiveness in doing so. This was our concept – unique throughout the world but one with such a strong sense of rightness that many would claim it for their own. Of course, claims and reality are not necessarily the same.